Recently, Harley-Davidson celebrated its 115 year anniversary with a weekend of motorcycle events in Milwaukee. The festivities included a parade, a demonstration of motorcycle driving skills by police and civilians, and factory tours. For many people, a birthday or anniversary is a time to celebrate with an alcoholic beverage, but it is important to remember that drinking and riding motorcycles do not mix. 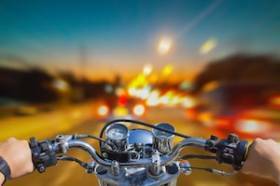 The law in Wisconsin is clear: motorcyclists cannot drive with a BAC (blood alcohol content) of .08% or greater. In addition, driving under the influence, also known as operating while intoxicated (OWI), comes with stiff penalties in Wisconsin. Driving a motorcycle while under the influence is responsible for a large number of deaths each year in the United States. According to the National Highway Traffic Safety Administration (NHTSA), in 2016, there were 4,950 motorcyclists killed in traffic accidents. Of those, 1,259 (25 percent) were alcohol-impaired with a BAC that was over the legal limit. Operating while under the influence of alcohol or other intoxicating substances is a serious offense that can greatly affect a person’s ability to drive, reputation, criminal record, insurance rates, finances, or even career. Offenses commonly known as “drunk driving” are known as Operating While Intoxicated (OWI) in Wisconsin, and drivers should be sure to understand the consequences they may face if they are arrested for OWI. What Are My Rights if I Am Pulled Over for OWI? Being pulled over by a law enforcement officer for a traffic stop is stressful; however, the possibility of being arrested for OWI (Operating While Intoxicated, also called DUI) can make things much worse. If you are pulled over for a traffic stop or on suspicion of drunk driving, it is important for you to understand your rights. If you don’t know how to assert your rights, you have none.